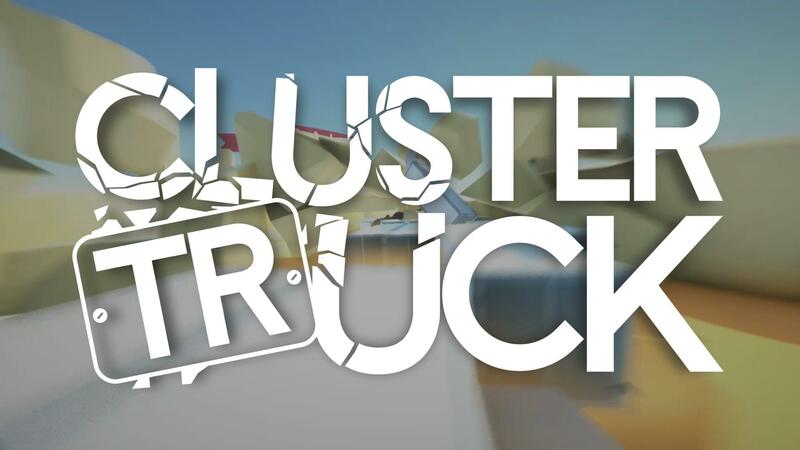 Clustertruck [Official Site, Steam, GOG] released today and I've had a chance to play some of it before the release, here's some thoughts. We have been steadily getting more 3D "beat the timer" games where you're up against others times, which is great because they really can be fun. I do love getting competitive in certain games, especially with some of my Steam friends and friends in the wider community. Games like this recently have been something I've been repeatedly going back to for a break from life. Clustertruck is not only about beating the times of other people, but it's also a "the floor is lava" game, so if you touch the floor you have to start again. The really funny thing is that the safe pads are moving trucks you have to keep up with. You can at least grab onto the back of a truck if you just about touch it, so it's not always instant death. You earn points for your overall time, time spent in the air and so on. With these points you're able to unlock abilities to use. That sounds good, but sadly it can make the leaderboards seem a little bit unfair to people not using them. Here's why it's unfair: I set a ghost person (so you can see what they do) to the world best time on level two. They literally started and flew off like a rocket right into the finish line, while I was still jumping from crashing truck to crashing truck. I get that the point of them being the best, is that they are the best, but still it would be nice to match up against people not using it when I am not. To see more directly how I compare, if that makes sense. I think it needs separated leaderboards for people using abilities and for people not using them, it would make it feel a lot more balanced. Once I was able to jump up and bounce off the bottom of a truck that was flipping over and land on another truck. It was like something out of the Matrix. It was immense, hilarious and something I never thought I would say I've done in a game. The game certain isn't as stupid as it sounds, it can actually be very challenging and full of moments that blow you away at what just happened. An amusing and completely silly idea, but executed very well and it's actually a really damn fun game. This sound rly great . Buying it. Added it in, I went by their official site which only listed Steam. well I have not yet bought or used any abilities so I dont know if that will make it much more interesting.